Strawbs went into cold storage for a few months after the 1978 tour, with Dave nurturing a wish to get back to his roots in the folk clubs. He teamed up with guitarist Brian Willoughby and put together an acoustic set which dipped back into the Strawbs' recording history, as well as rescuing a few unreleased gems. This is in effect an "unplugged" album, long before such things became essential behaviour for rock stars - Dave Cousins, as ever, a pioneer! Side 1 is studio-based, whilst Side 2 (apart from "A Song For Me", which Cousins performed at 1973's Rainbow concert when things were pretty rough in the Bursting band) was recorded live at the Exmouth Folk Festival. The duo did a couple of very well-received country wide tours - I hosted the key 1979 London gig at the Bloomsbury Theatre (then known as the Collegiate) and introduced Dave and Brian to a packed house. 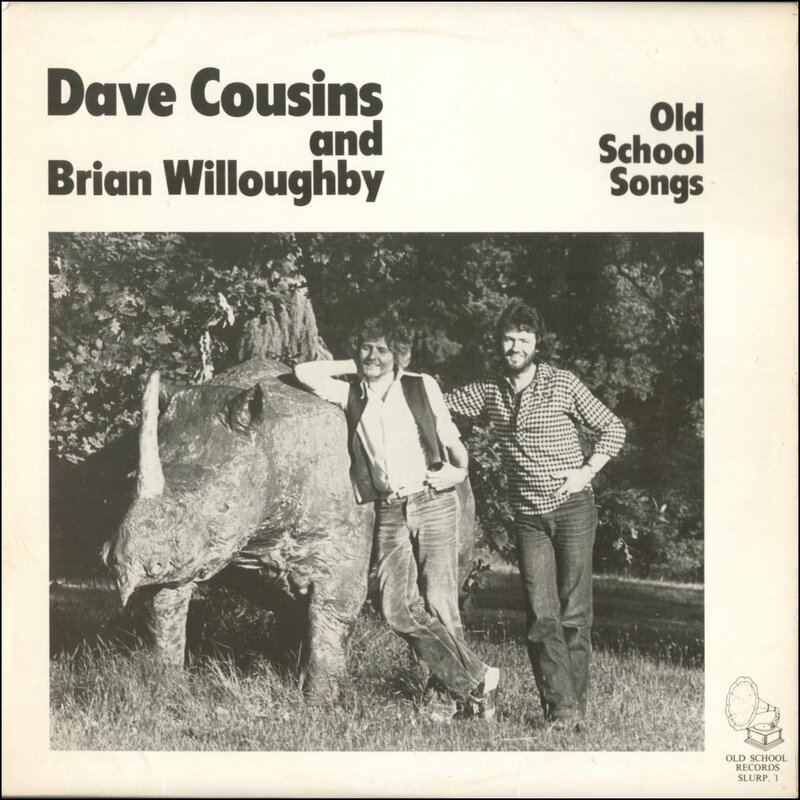 The resulting partnership between the two lasted for many years afterwards: first as Cousins & Willoughby; within the Strawbs, where his searing lead guitar work won many fans; and finally in the Acoustic Strawbs, with Cousins and Dave Lambert. Brian left the Strawbs to concentrate on his career with partner Cathryn Craig in 2004. Recorded at Music works on May 16th and June 22nd. The live tracks were recorded by Bob Pridden at the Exmouth Summer Festival on May 27th. "Certain songs were previously recorded on Strawbs albums and are included by kind permission of A & M Records Ltd and Polydor Inc."
"Early this year I decided that it had been too long since I had played to an audience. With the high costs of touring, the Strawbs only work when there is an album to promote, so the answer seemed to be a few acoustic gigs. I rang Brian Willoughby, an old friend from the White Bear days, and asked him if he fancied reliving his ill-spent youth. He was cajoled over a pint. So was I ! We threw guitars ands suitcases into the car and set off on a merry jaunt around the clubs and colleges. It was great fun � just like old times. Everywhere we went people kept asking if we'd made an acoustic album � something I've never had the bottle to do. Well, here goes folks! This is Brian down in living stereo. The live stuff was recorded on a cassette at the Exmouth Summer Festival. Never mind the quality, it's the feel that counts. We'd like to thank Derek Green, Kevin Wyatt-Lown, Chas Cronk, Debbie and Sarah, Mike and Neil, and Bobby Pridden for their help, and everyone who came to the shows. Dave Cousins (30th June 1979)"